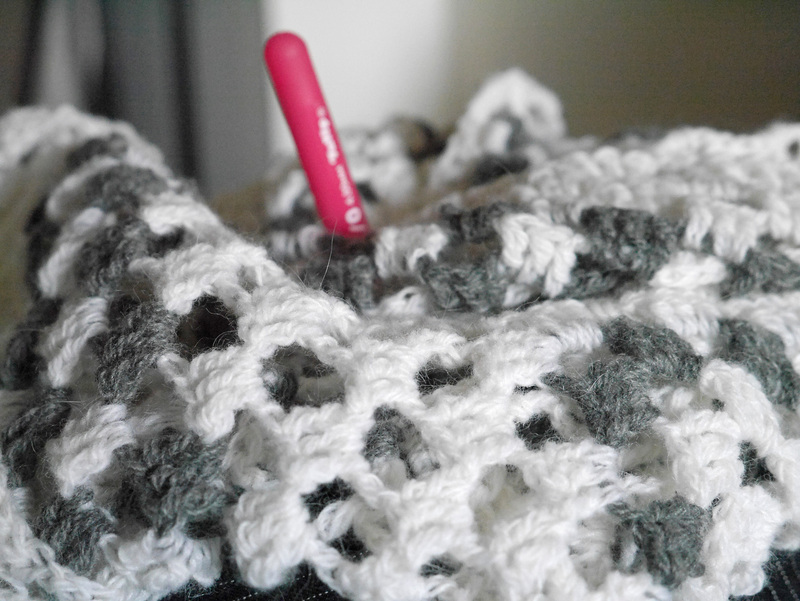 I’m working away on my crochet cardigan, and I’m loving how simple it is. The stitch is brainless (a giant granny square). The shaping is ingrained in my brain (a basic center out square shawl). The yarn is absolutely lovely (Karabella “Max”). And there’s absolutely no deadline. For me, right now, it’s the perfect project. But now the question has arisen… how many ways can you photograph a black and white blob?